Buying a used Toyota has several advantages that make it a good option for anyone in the market for a vehicle. You can find many used Toyotas in good to excellent condition and some will even have low mileage. Before buying a used vehicle you’ll have a lot of decisions to make such as what make, model and style to buy. Once you narrow it down to one specific vehicle, you’ll want to take it for a test drive. Test driving a vehicle before you make the decision to buy is an important part of the decision making process, so never skip this step. You never really know if it’s the right vehicle until you get behind the wheel but it’s even more important when buying a used one. During the test drive, you need to make sure you feel comfortable driving and that you have full view out of the front and back windows. You also want to make sure the vehicle handles and steers easily but there are a few other things to look for when purchasing a used vehicle. When test driving a used vehicle, you have to get a little more in-depth than when driving a new one. This is your opportunity to make sure the vehicle is in as good of shape as you think it is. The way the previous owner took care of it will determine if the vehicle has normal wear and tear or excessive damage and you can tell a lot during the test drive. If the vehicle shakes or vibrates when going above 50 MPH, it could be an indication of serious front-end problems. Therefore, it’s important to drive it on the highway where you can pick up a little speed. If you’re considering a certain vehicle because it has special features that you want such as a navigation system, make sure it works properly. It’s even a good idea to make sure the power windows and locks are working correctly and that all the seatbelts latch properly. The best way to make sure the vehicle you’re considering buying is worth the asking price is to do a test drive. When you know what to look for you’ll notice potential problems before you buy. You can also make sure you feel comfortable driving and even riding in the vehicle so you don’t end up with something you’re not happy with later. 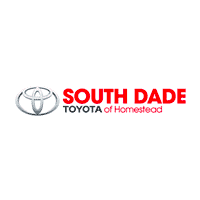 Here at South Dade Toyota, we have a nice selection of used vehicles with LIFETIME WARRANTY included as part of the South Dade Toyota Advantage Experience so check out our used inventory today! You’re sure to find something you’re interested in taking for a test drive.